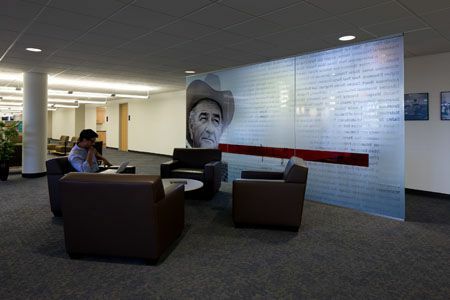 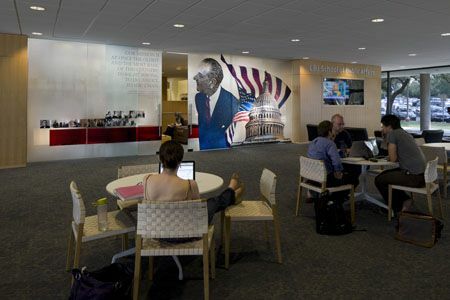 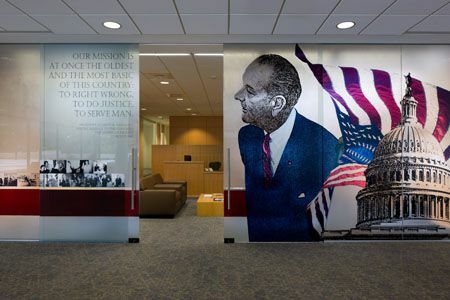 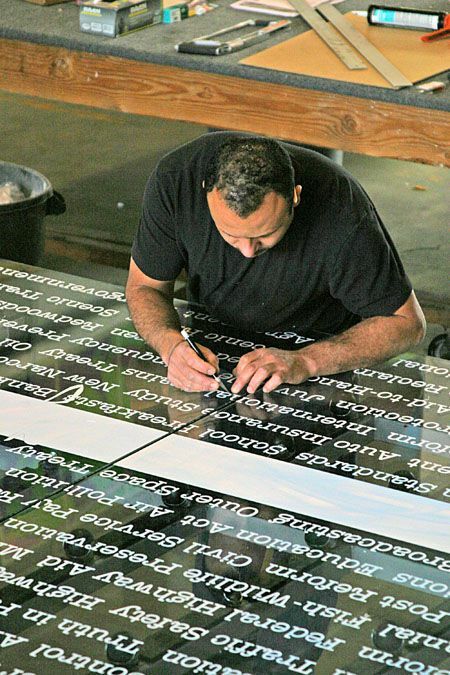 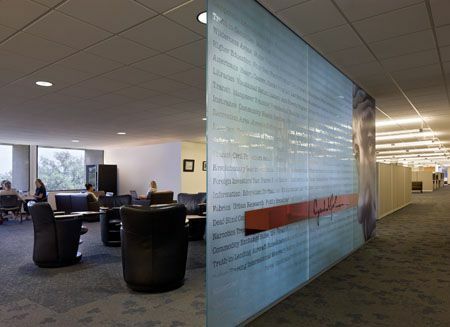 This installation, commissioned by the University of Texas, is comprised of two glass screens and a set of doors for the Lyndon B. Johnson School of Public Affairs. 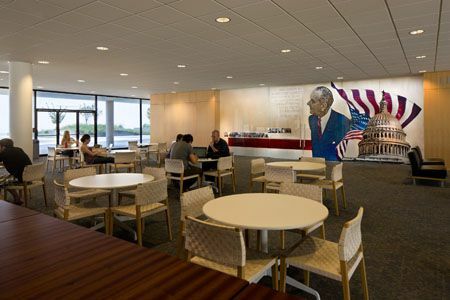 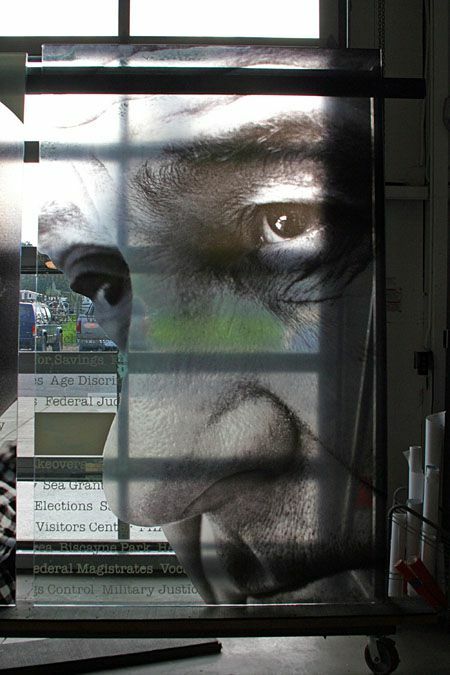 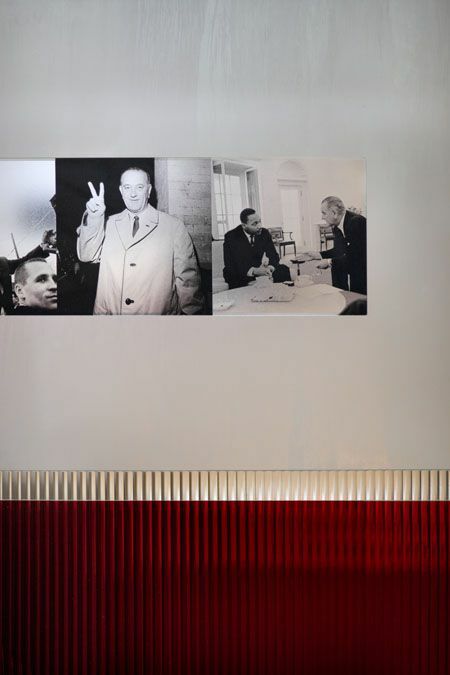 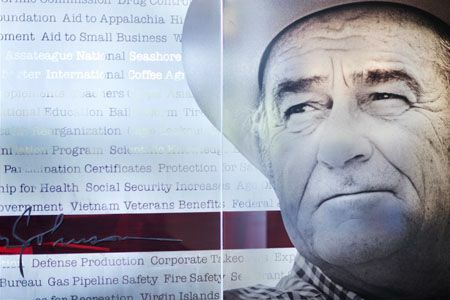 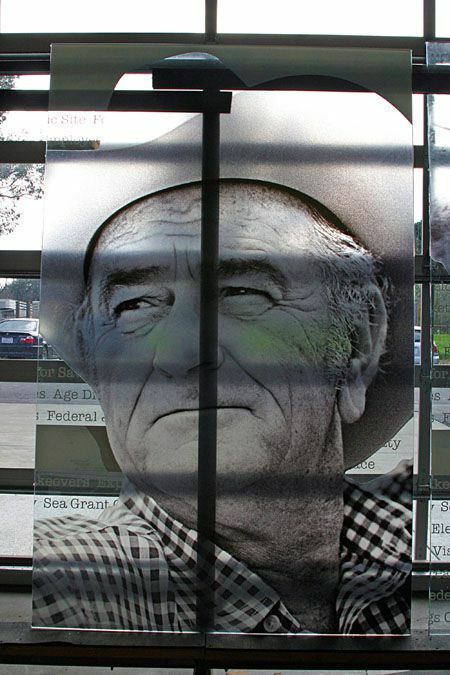 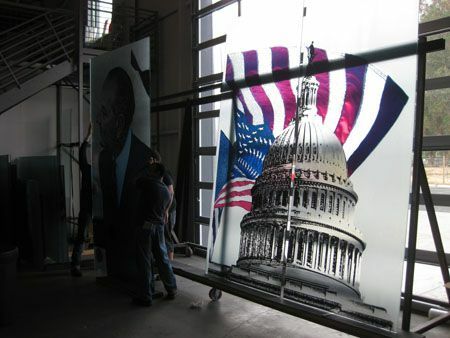 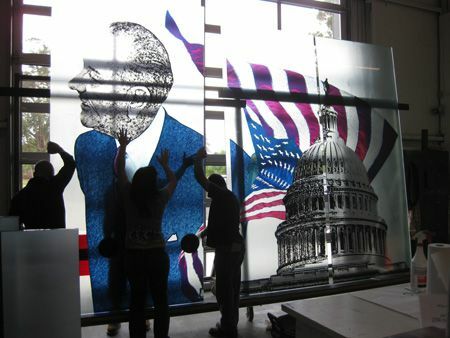 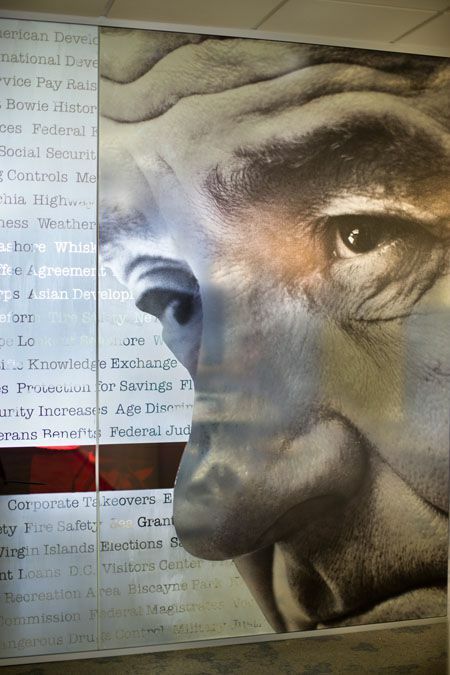 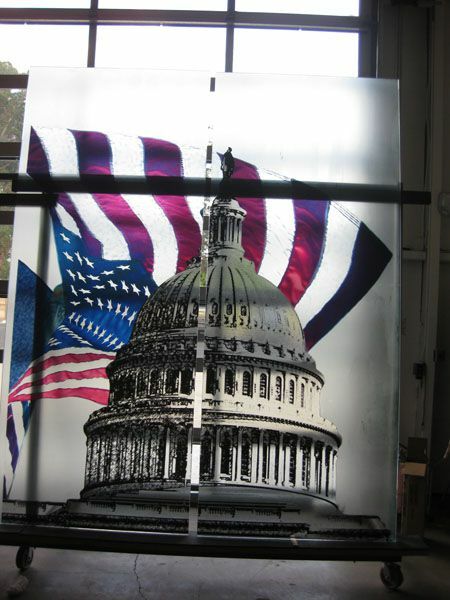 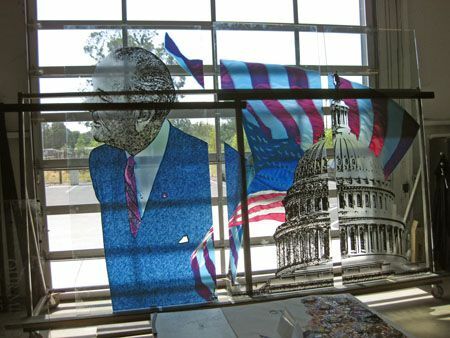 The glass screens were created with thermally bonded, printed iconic images of LBJ and acid-etched onto the glass screens. 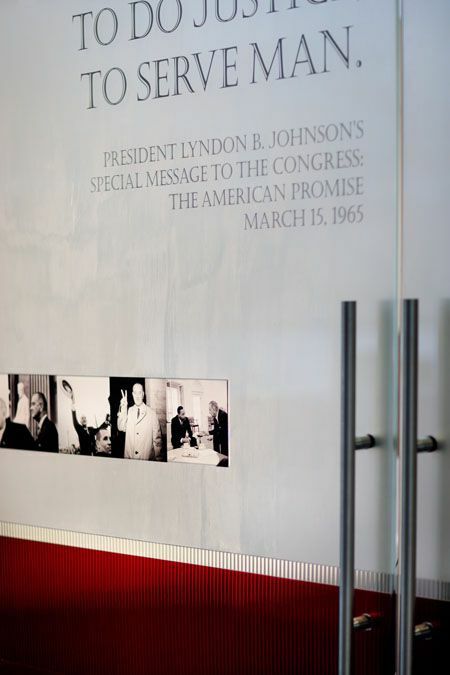 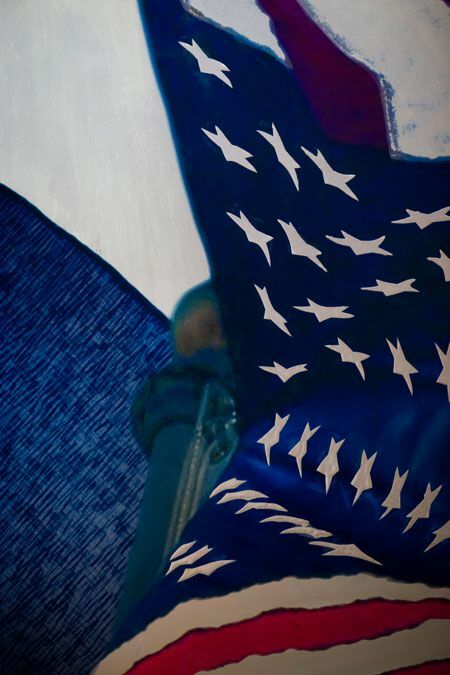 A band of red German New Antique glass is topped with LBJ’s signature rendered in patinated, laser-cut steel.